Kirsch Wood Trends long drapery rod brackets available in unfinished and pre-finished colors. 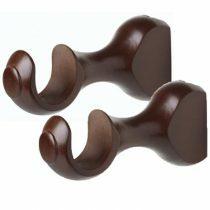 These drapery rod brackets have a 6-1/2″ return and are available in two sizes depending on the size of your drapery rod, 1-3/8″ and 2″. 1-3/8″ brackets are sold by the pair and 2″ brackets are sold individually. 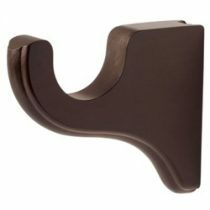 Kirsch Wood Trends drapery round rod brackets available in unfinished and pre-finished colors. Drapery rod brackets are available for 1-3/8″ drapery rod. Sold individually. 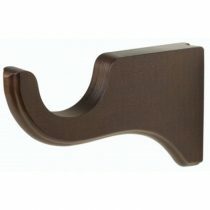 Kirsch Wood Trends drapery rod brackets available in unfinished and pre-finished colors. These drapery rod brackets have a 3-1/2″ return and are available in two sizes depending on the size of your drapery rod, 1-3/8″ and 2″. Bracket is sold individually.